I am obsessed with supporting fellow ambitious women to silence the self doubt, ditch the excuses and unlock their potential. I empower women to feel more confident, believe in themselves and fully accept that they have what it takes to work for themselves doing something that they love. I love to work but I also love to spend quality time with my family and those that matter most to me. Are you fed up of feeling like there must be something more? I totally understand that feeling of wanting more. More time with those I love, more freedom to do what I want to do when I want to do it, more income to experience more in life, travel more, laugh more, generally enjoy more of life whilst helping others to do the same. I didn't used to think I could do work that would help others, make a difference and make money at the same time. For years I felt that it had to be one or the other - so I always choose helping others over making any money. It is in my blood to make a difference and all I really want is to inspire others t go after their dreams and to not settle for less. a thirty something old ambitious mother, who still feels she is 21 and then has a reality check that 40 is around the corner and wants to make sure I really achieve what I know I want to achieve with my life? You know you have the drive, are hardworking and ambitious and really do love to work. The thought of not working makes you shiver because there's so much you want to achieve and so much you want to share in this world. You secretly want to be famous (not in a celebrity kinda way but in a more 'I want to make a difference kinda way"), but you convince yourself that 'who am I' to share this message with the world. You want to work on your terms though and have hours to suit you and your family - not have to ask for permission to take time off and go on holiday when you want to. You want to plan your own working day and make sure you get the best out of your time - after all your work and passion is your life - there’s no need to separate the two. I have worked in the public sector and had my own private business, both were helping others to unlock their true potential. Granted the peeps I chose to work with had a lot of soul searching to do and needed specialist interventions, but I still got the same rush of seeing others having those ‘YES - I can do it’ moments. When I see people start to truly believe in themselves it is the most amazing thing in the world! Because I know from my own experience that we can stop ourselves before we even start and that self doubt kills more dreams that failure could. I realised quickly that we all need support and guidance to reach our goals. Even when I became a mother and had the balancing act of working and parenting to navigate, I could never give up my work. I adore my children, they teach me so much about living life to the fullest and being so very resilient. Having worked for myself since 2008 I know there are things that I have avoided doing for fear of not being good enough to actually do it. But have learned how to push myself and do those things I keep convincing myself are ‘not me’ or ‘I can’t possibly do that’ - and have realised that it links to my personality. I am a proud introvert. I have come to realise that a lot of my personality traits have held me back in business. I used to avoid certain things that are really essential to building successful business, attracting the right customers and making the income your want to make. Things such as promoting myself and my services, selling, presenting, public speaking, networking, feeling good enough when comparing myself against other amazing people. I found my fierce though. And after a lot of work on myself I have pushed and challenged myself to really do the things that I have been telling myself for years that I can’t do. And have done it in ways that I thought I ‘should’ do, but after trying and testing out things that have worked well and some well not so much, I have finally found ways that feel really good to me. And you can do that too. You don’t have to be like everybody else. You don’t have to be the loudest. But you do have to be visible. Fro your business to do well people do have to know about you. Self belief is EVERYTHING when it comes to business and life in general. My work is my passion and when you meet me, then you can see that it is written all over my face. I can’t hide it that’s for sure and I am so grateful that eventually I have found the courage to step out on my own and be there for you. I love to empower other ambitious women like you, to find their fierce and confidence to step up and fully believe in yourself that they need to ditch the excuses you hide behind. It is your time but you have to take it - just like I did. It is scary but it is the only way to make that real difference you want to make by doing work that you really love. To have freedom and choice. To have more than you have now. To give more than you do now. To be that difference to others. This is why I do what I do. I will support you to believe that YOU do have what it takes to make that difference you want to make. Stop Hiding. Find your Fierce. If I can make the leap then you certainly can! For years I have been affected by caring what others think about me or the decisions I make and especially around the kind of woman I want to be. Second guessing everyone and wasting precious time. ....and that’s when the magic starts to happen! I knew that it was now my time to reach my true potential. The lessons I have learnt along the way would not only guide me but would also insist I should follow the voice inside calling me to follow my heart and to truly believe that what I have to offer the world is really valued. Then connect with me now. I get it. I get you. Ever since being a little girl Gemma has always wanted to change the world and make it a better place for everyone to thrive and be happy. She even wrote this in her school book when she was 8 years old. One of her favourite quotes is 'Be the change you wish to see in the World' (M Gandhi). After traveling, working abroad and then finishing her degree at uni, Gemma started her career as a Probation Officer and spent 8 years working with vulnerable and dangerous individuals. She loved this role as it matched her core beliefs that everybody has potential and everybody can change. After having her first child, Gemma experienced post natal depression and although a tough time, working through this she knew that she needed flexibility around work and needed a new challenge to reach out and support more people to support them to make positive changes to their lives. Her passion has always been to support other's to unlock their potential, truly believing that everyone has their own unique gift to share with the world. This is when she started her own private company - an alternative education centre for young people who were not fulfilling their potential in mainstream schools. The young people were some of the most vulnerable in society who needed additional support and cognitive behavioural strategies to be able to manage their challenging behaviour and address any issues that were preventing them from moving forward. Over the 7 years the centre earned a well respected reputation and was a great success, working with 100's of young people enabling them to understand themselves and teaching them new skills to reach their true potential. Gemma worked with her own mentor whilst managing her business and raising her two children. She also won a Network She Citizenship Award in 2015 in recognition of this great work. The work / life balance was tough especially with the commute and sometimes missing out on important family stuff, but Gemma made it work. Gemma is not afraid to talk about how much she loves working - even if this means being away from her children and she works hard to find the right balance. Working is as important to her as being a good mum and she knows she is a positive role model for her own children and others. Gemma believes you can work and be there for everyone else that matters to you and she encourages all women who are ambitious not not settle for less than they want. She believes you can have it all - you just need to know what your 'all' looks like. 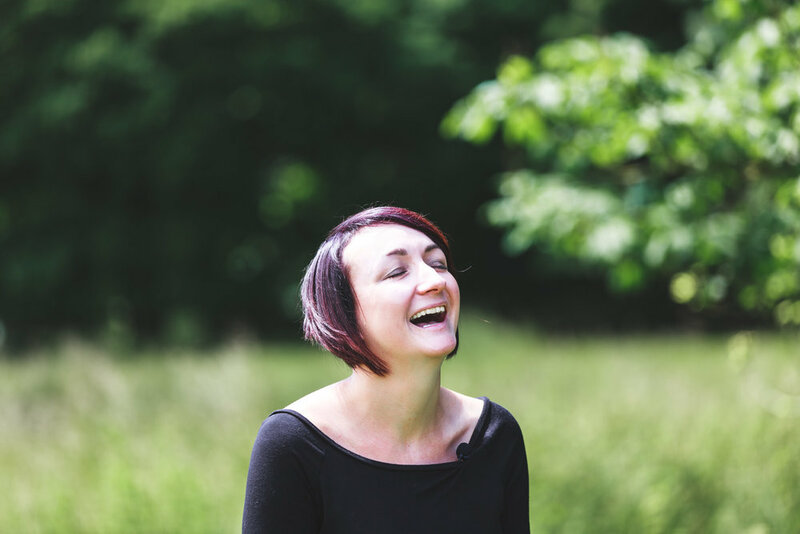 Gemma is the founder of The F Movement - empowering ambitious women to stop hiding, believe in themselves and run unstoppable businesses. Supporting women to be the next version of themselves that their business demands. She has her own coach, is an ICF accredited coach herself and has studied NLP (Neuro Linguistic Programming), motivational interviewing and various coaching practices, and is always up-levelling and accrediting her skills to enable her to be of greater service to more people. Her motto is “ Do what you can’t “ which enables anyone to find their fierce and be unstoppable.